Your friends at Mahjong Time would like your opinion on our new auto-pass feature. We recently made auto-pass available to help move games along. With auto-pass, players can elect to have the system software say “pass” for him/her. Prior to implementing auto-pass, a game could stop and everyone would have to wait until the time limit expired on the player’s turn. During that time, a player could have walked away from the table, become distracted or simply thought he/she had said “pass” when they hadn’t. The next player could not take their turn until all of the time ran out. The auto-pass is easily triggered, and it does make a game move more quickly. 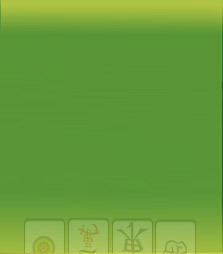 At Mahjong Time, we also hoped that this feature would create a more active, compelling gaming experience. However, recently we’ve heard from some members that there may be some problems with auto-pass. Some folks have complained that auto-pass reveals an opponent’s tiles and that it should activate more randomly, triggering anywhere from within one to seven seconds. We want to hear from more players about the auto-pass option. Do you like it? Should it be changed in anyway to make it more effective? Is the auto-pass feature too predictable? Any other comments you may have about auto-pass—positive or negative—will be greatly appreciated. Your friends and fellow players at Mahjong Time can’t wait to hear from you. Thanks for your help.